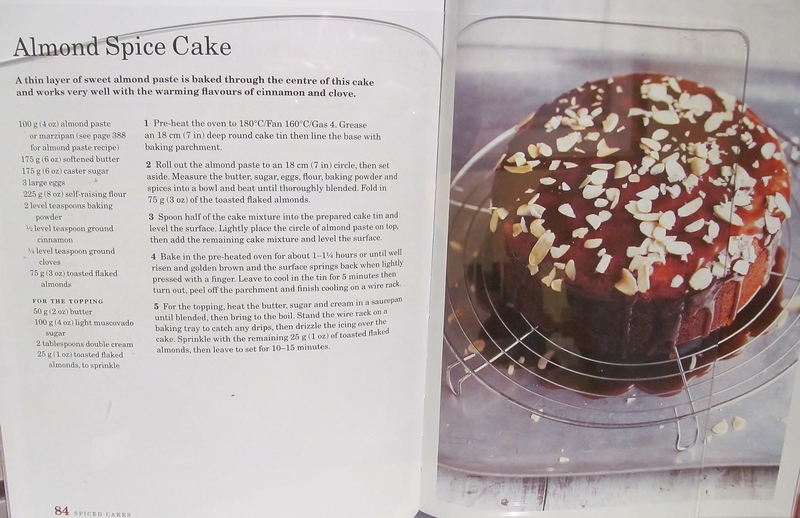 Week sixty seven and I needed a birthday cake idea from Mary Berry’s Baking Bible for my chief taster ( AKA my lovely other Dad) and I wanted something that would cheer him up as he had been very poorly recently. I knew that he loved anything with almonds (yuk!) so this cake was perfect! The recipe was the usual easy Mary Berry throw every thing into a bowl and mix. The only slight variation of this recipe is that you roll out some marzipan into a circle the same size as your cake tin. Then pour half the mixture in, add the circle of marzipan and pour on top the other half of the mix. This had a long oven bake time so I had to be patient while I waited for it to cook. once it was done and cooled, the topping was made in a saucepan by adding brown sugar, butter and cream and bringing it to the boil to thicken it. Pour this over the cake and sprinkle with almonds. 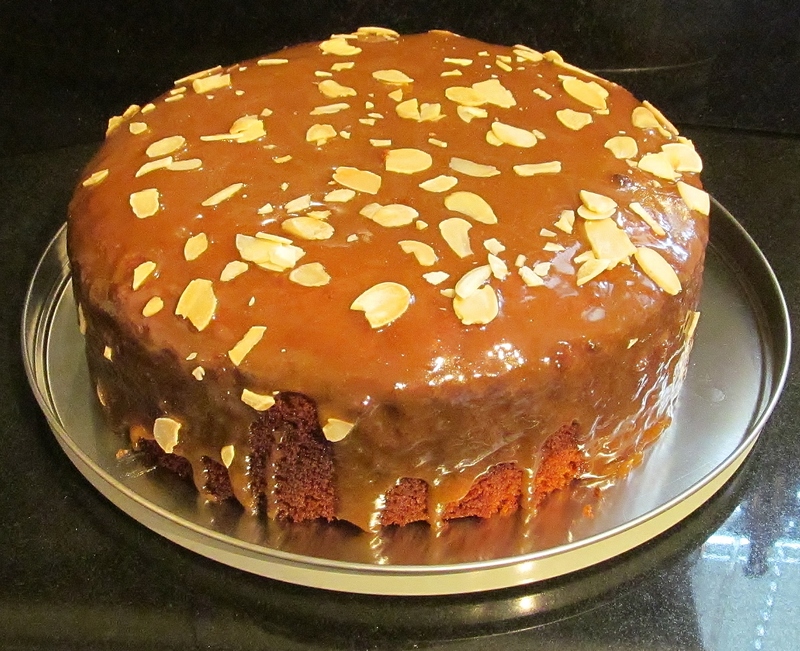 This entry was posted in Kim's cake challenge and tagged almonds, Kim's Almond Spice Cake, kims cake challenge, Mary Berry, Mary Berry's Almond Spice Cake, marzipan by kimsideas. Bookmark the permalink.